Sonia Hernandez joined Vodafone in 2012 as the head of supply chain radio access at the Vodafone Procurement Company (VPC) in Luxembourg. In 2015 she was promoted to Group supply chain commercial and services director and was responsible for expenditure across all operating companies, in the areas of Marketing, Customer Care, Human Resources, Business Services and Real Estate. She also was a member of the Board of Directors of the VPC. Currently she is a member of the Board of Directors of Vodafone Germany and Kabel Deutschland. Throughout her career, Ms Hernandez has occupied key roles is sales, human resources and supply chain management. Prior to joining Vodafone, she worked for Siemens Mobile Communications and was in charge of global sales account management for international accounts such as Telefonica and Telecom Italia. She was a key contributor to the growth of the Siemens mobile and Nokia Siemens Networks business in Latin America. She then made a career change to human resources management, and served as Head of HR for Nokia Siemens Networks. 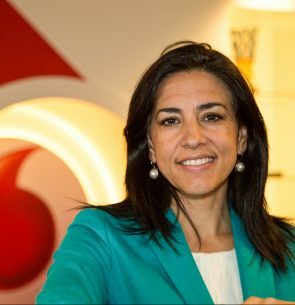 In June 2018, Ms Hernandez joined Vodafone Malta as Chief Executive Officer. She speaks five languages fluently and studied Electrical Engineering at the Technical University of Madrid.